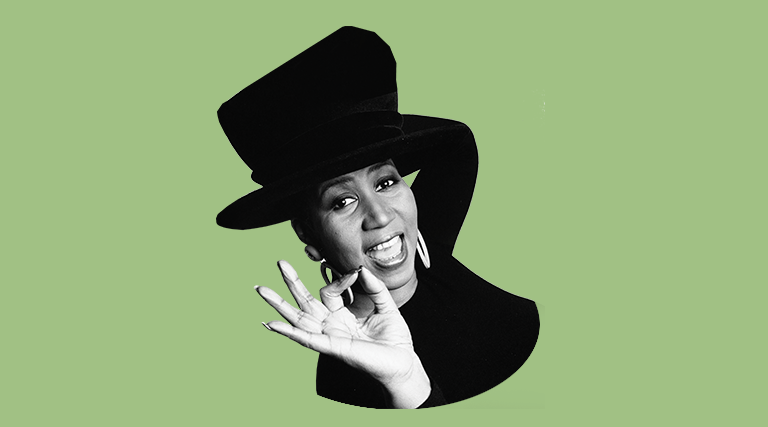 There is a hole in our R&B life—a space once filled by soul legend Aretha Franklin until her death on Aug. 16, 2018, from pancreatic cancer. The winner of 18 Grammy awards and first woman to be inducted into the Rock and Roll Hall of Fame was also awarded the Presidential Medal of Freedom in 2005. What many don’t know is that “Ree Ree” was a down-to-earth cook known for her old-school Southern dishes, such as this Christmas ham. When sharing her recipe with viewers of Live With Kelly and Michael in 2012, she said, “This is the way the ladies at the church do it,” hence the reference to New Bethel, her father’s church in Detroit. (However, in a segment with Martha Stewart, where she also prepared the dish, she called the recipe “Miss Franklin’s Annual or Any Ol’ Time Ham”). While she baked this ham, Franklin said she listened to Christmas albums recorded by some of her faves, the O’Jays, Donny Hathaway and Luther Vandross, as well as her own 2008 Christmas album, This Christmas, Aretha. So, don your apron, load up the old CD player or else start streaming, and remember the Queen of Soul with this holiday ham. Place ham in a baking dish. Using a paring knife, score the fat on the top of the ham in a diamond shape pattern, 1-inch deep. Insert cloves into the corner of each diamond. Place ham in a roasting pan and cover loosely with foil. Bake or “sweat” the ham in oven for 20-25 minutes. Remove ham from the oven and remove foil. Combine brown sugar and yellow mustard in a bowl, then add pineapple juice. Slowly add ginger ale until it becomes a pourable mixture. Pour sauce over ham, coating the sides. Return ham, uncovered, to a 400-degree oven and bake for one hour, basting every 20 minutes, until a brown crust forms on top. 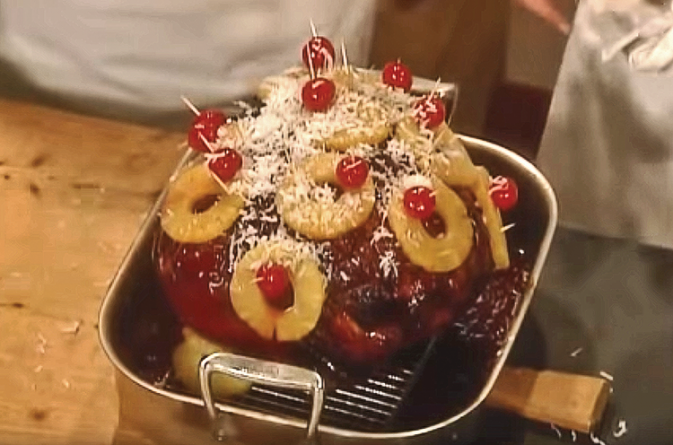 Remove ham from the oven, add pineapple slices and maraschino cherries in a decorative pattern on ham with toothpicks. Baste the fruits with the glaze, then place back into the oven for 10 minutes until the rest of the food is ready. Sprinkle sweetened coconut over the finished ham for a “snow” effect.